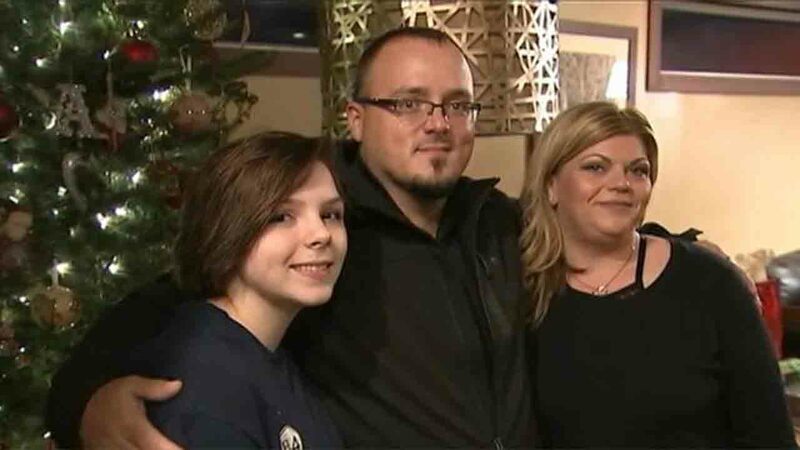 CLEVELAND COUNTY, N.C. -- The Travis family had a Christmas Eve to remember. The North Carolina husband and wife, driving to meet each other, came across two separate, dangerous situations on Sunday. The wife helped one family escape from a house fire, while the husband saved a baby's life on the side of the road. Crystal Travis and her daughter were driving when they saw flames erupting through the roof of a home. They quickly jumped out to help the family with small children to safety. "I couldn't really tell at first and then I realized this house is on fire," Travis told WSOC. "Then, all of the sudden, the propane tank on the porch explodes. It shakes the ground, and you can just feel it. There's smoke everywhere. It's hard to breathe." The family was safe and they even managed to save some of their Christmas gifts from inside the home. While the mother and daughter helped one family, Cyrstal didn't know that her husband was helping another family 20 miles away. Roger Travis said he was driving near Hickory Mall when he saw people trying to perform CPR on a baby. That's when he used his EMT skills to revive the child. "It looked like there was a traffic accident in the front of the mall," Roger said. "We did get a pulse. The child was crying." Some people may call it a coincidence, but the Travises consider it to be a Christmas miracle. "We were like, 'What are the odds? This is the craziest day ever,'" Crystal said. "God put us at the right moment, at the right time, for the people that needed us the most," Roger said.